View of “Theatre of the World,” 2012. 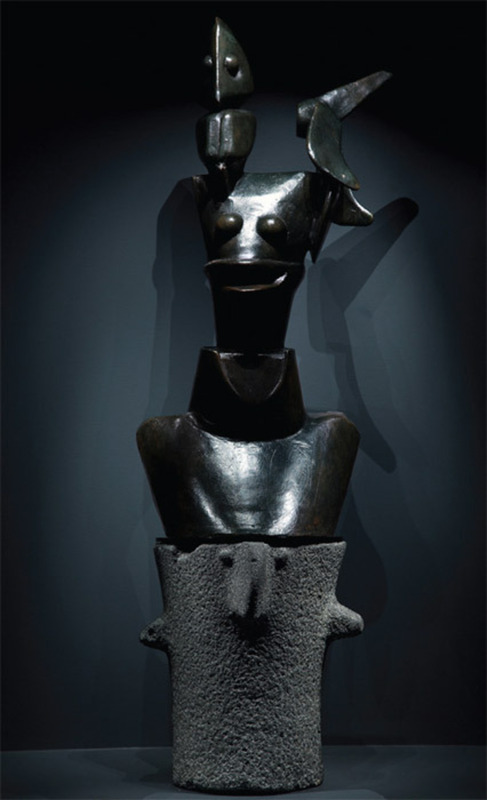 Top: Max Ernst, L’imbécile (Imbecile), 1961. Bottom: Altar in the form of a bird-headed deity, Golan Heights, Syria, Chalcolithic, fourth millennium BC.